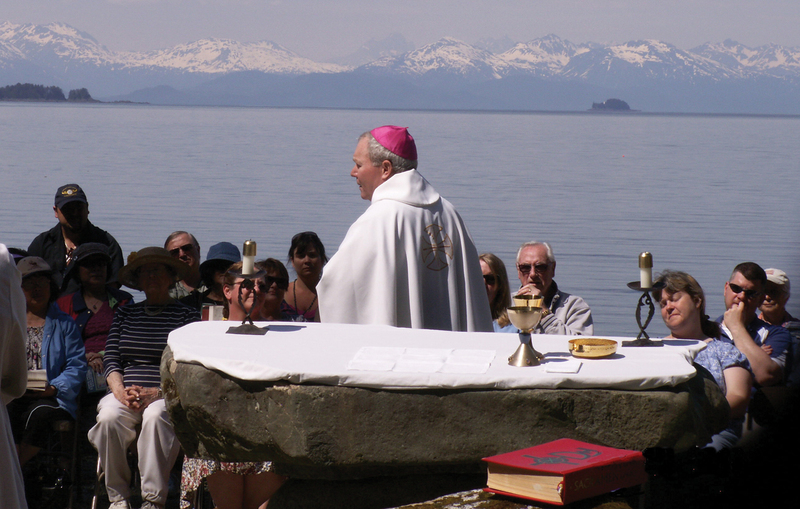 Bishop Edward Burns presides at an outdoor mass at the Shrine Columbarium in 2010. 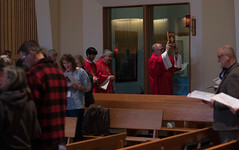 For close to 40 years, Catholics and non-Catholics have been attending the annual Shrine of St. Therese Memorial Day Spring Celebration. 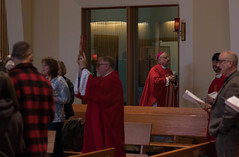 This prayerful, reflective celebratory day is composed of activities that help us intercede for those who are no longer with us, and to find healing and peace in our own lives as we grieve and commend them to the Lord. It is time to remember our deceased military personnel who have died over the past years.